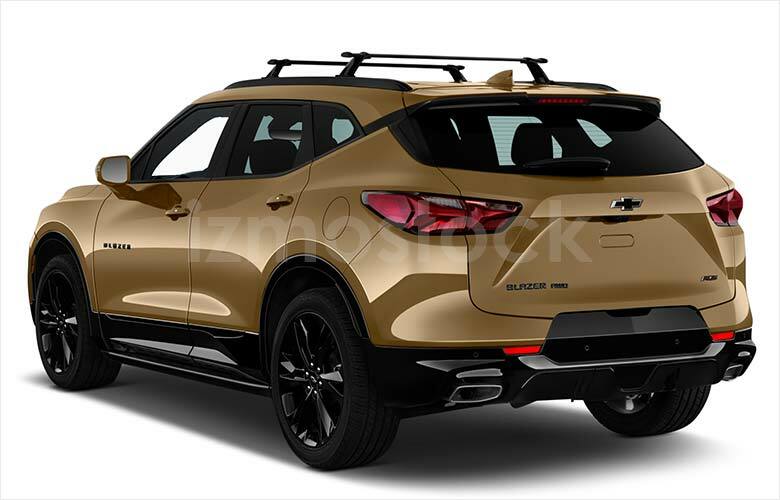 The Chevy Blazer returns in full force with a complete redesign, now sporting the stylings of the ever-popular Chevrolet Camaro with much needed contemporary updates. 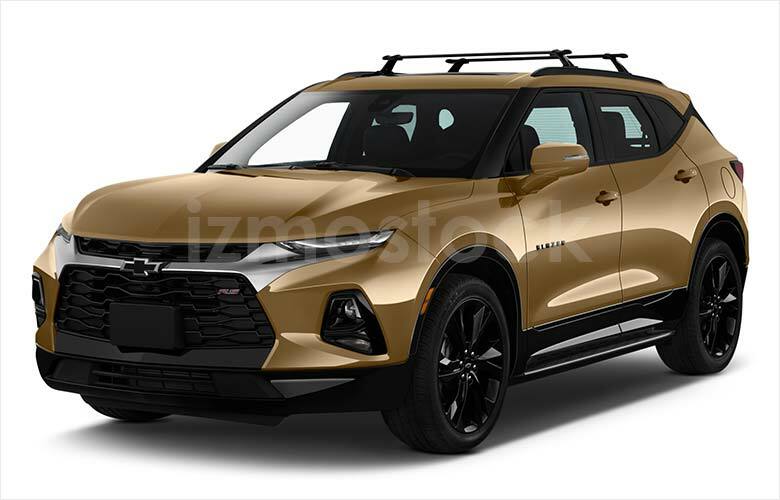 Last seen in 2005, the 2019 Chevrolet Blazer is all-new, except in name. 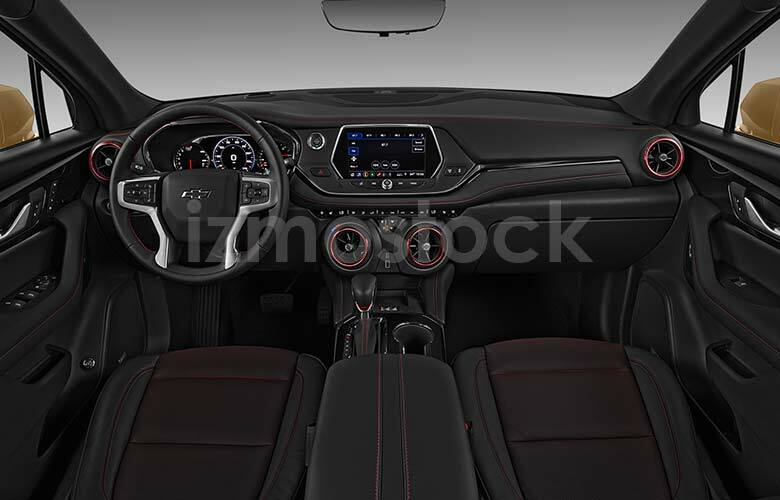 The front of the 2019 Blazer is easily recognizable now as it very much resembles the font of the Camaro. 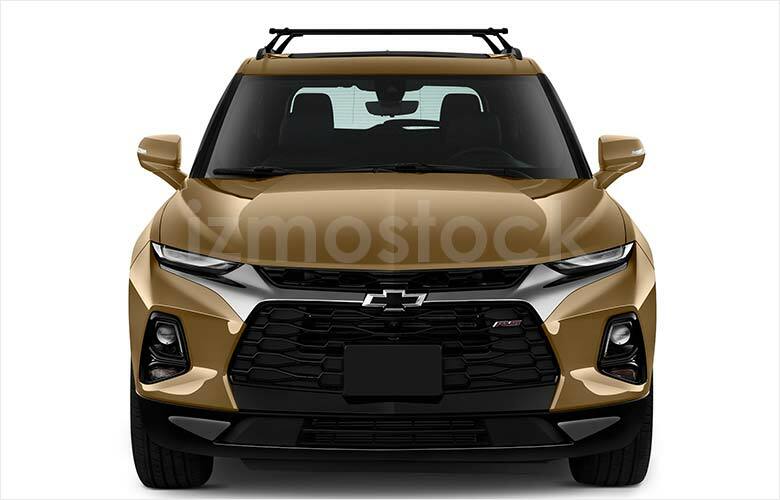 With two sets of front headlights, upper thin daytime running lights and lower fog and main headlights, Chevrolet is making the most with the extra space of the SUV. The grille is stripped directly from the Camaro, featuring the same wave like structure. The rest of the 2019 Blazer is its own beast. The roof is a complete floating design with black A-pillars and a fine black slice separating the back of the roof from the tailgate. The lower skirt is a shiny piano black that wraps all round the lower part of the Blazer, letting you know that this is a little more classy than the usual matte plastic of most SUV’s. The tailgate features split taillights that have a sort of three-dimensional arrow pointing inwards towards the classic black and chrome Chevrolet emblem. The piano black skirt emphasizes the dual exhaust ports rounding off the Blazer’s blazing sportiness. 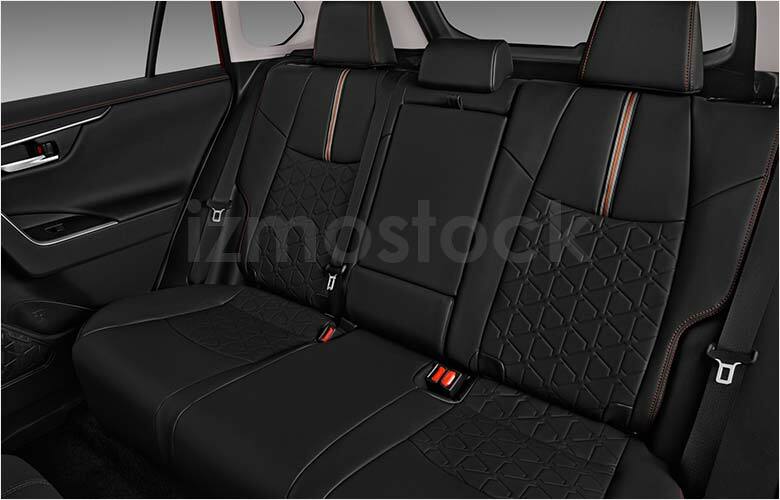 Furthering itself from models of old, the 2019 Blazer has a fully leather interior and pleated seating. 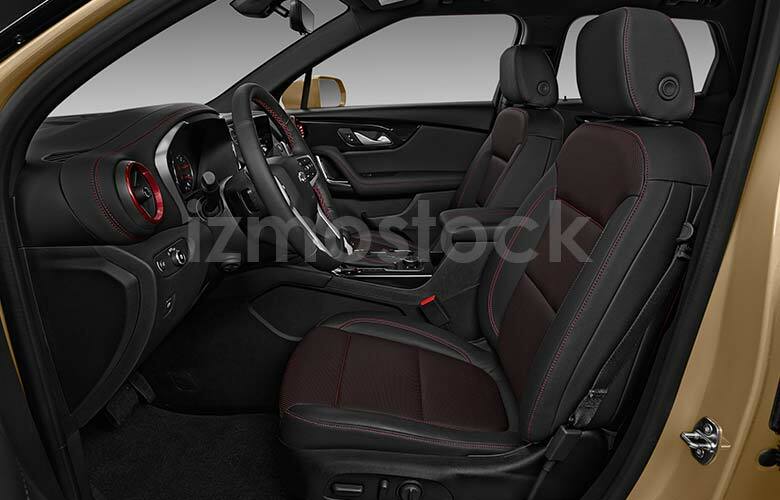 The large circular vents are also barrowed from the Camaro, but the rest of the comfy and spacey interior is a nice dark cave. 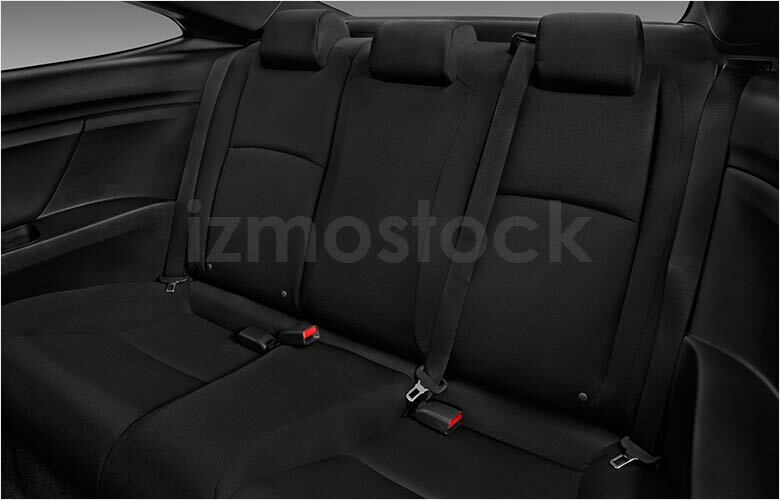 The rear seating comfortable fits three passengers who will also be enjoying fully leather seats and door paneling. 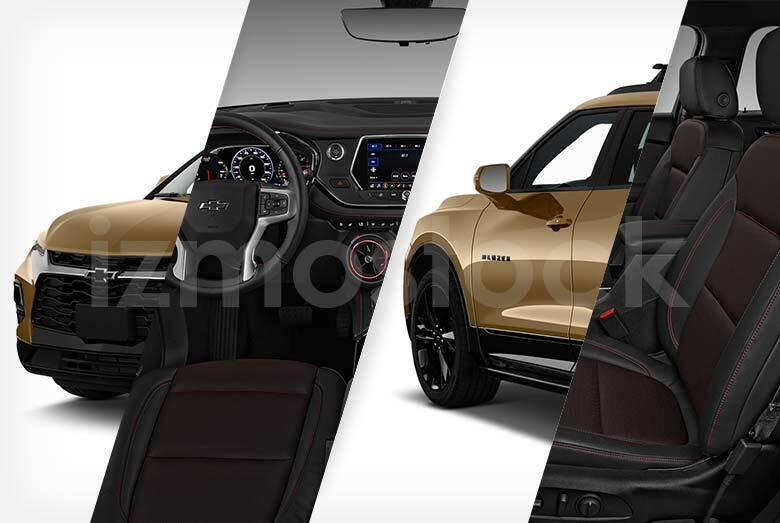 With an overall sportier influence from the Camaro and a complete overhaul inside and out, the 2019 Chevrolet Blazer blazes new paths for the adventurer inside us all. 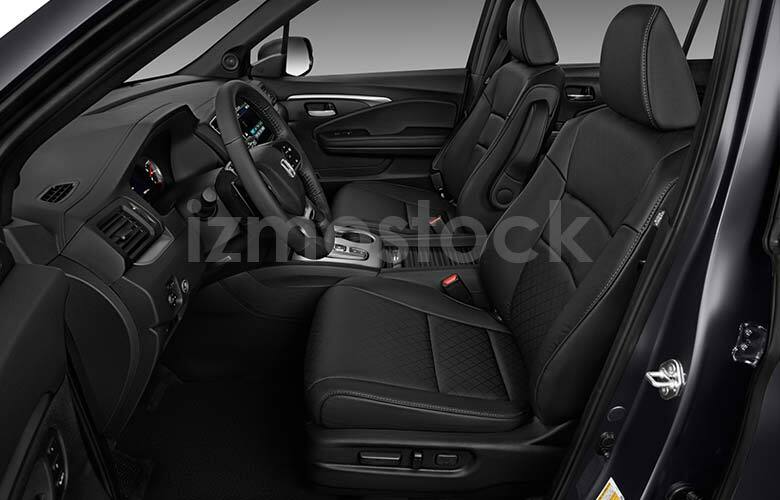 TO license hi-res imagery and video of the 2019 Chevrolet Blazer, Contact Us. 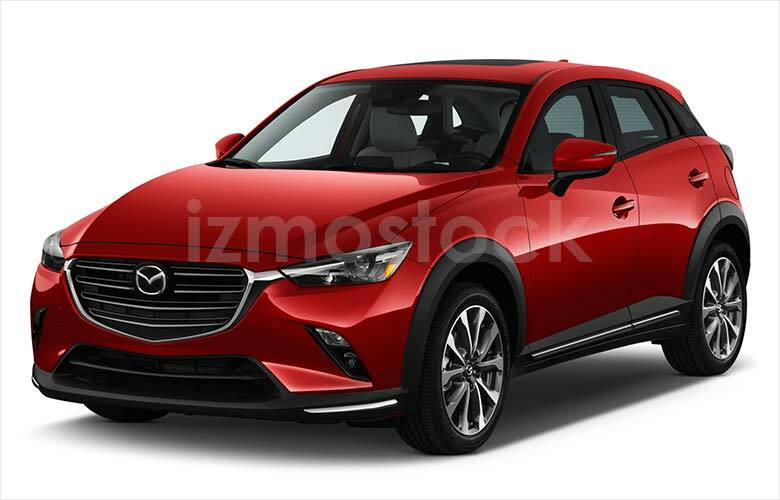 Not quite an SUV and definitely not an everyday sedan, the Latest 2019 Mazda CX-3 takes the middle road fitting perfectly into cityscapes. 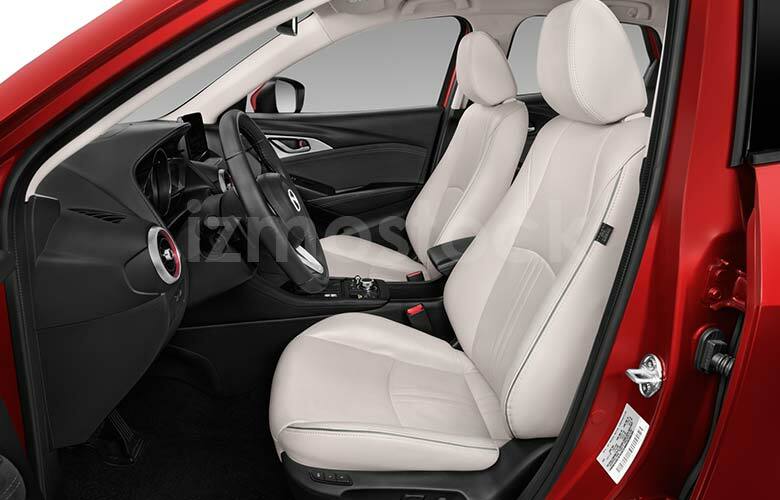 Designed to fit into the subcompact SUV category, the 2019 Mazda CX-3 has the sizing needed for city terrain with a hint of ruggedness as intended by its sport utility naming. It is clear though, that no matter where you intend the CX-3 to take you, Mazda fully constructed the CX-3 to be stylish from front to back. 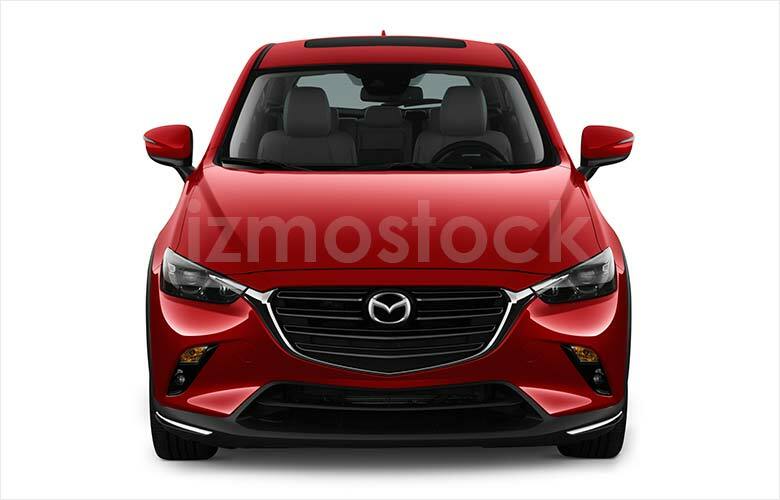 The front features a completely smooth hood that tapers into Mazda’s newly designed grille for 2019. The new grille, which consists of chrome black bars, is encompassed by chrome embellishments that recede into the headlights. 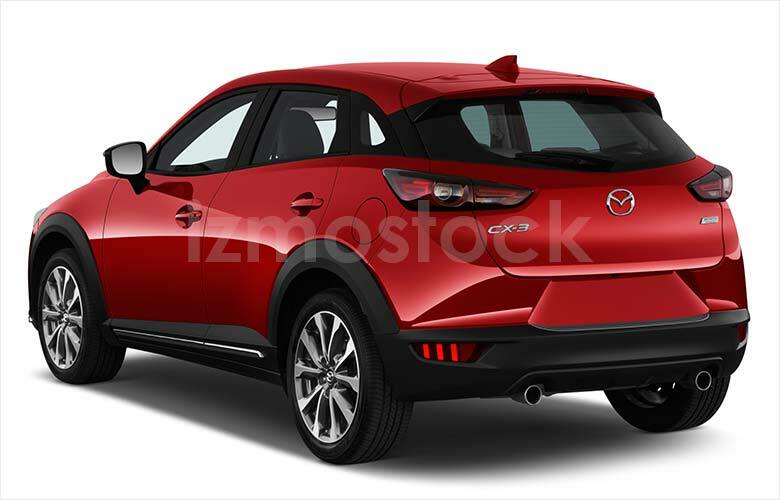 Looking at the profile of the 2019 Mazda CX-3 you may find it has a keen resemblance to the head of a cheetah. While the wavy body and shoulder lines of the CX-3 take on the shape of a striding feline. The inspiration results in a floating hood and windows that conform and cinch to the changing body widths as you move from front to back. 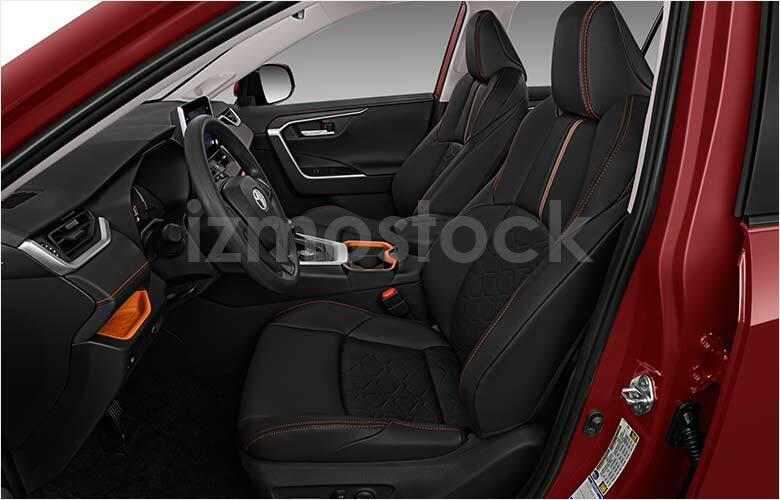 Inside is also an updated story of driver comfort. 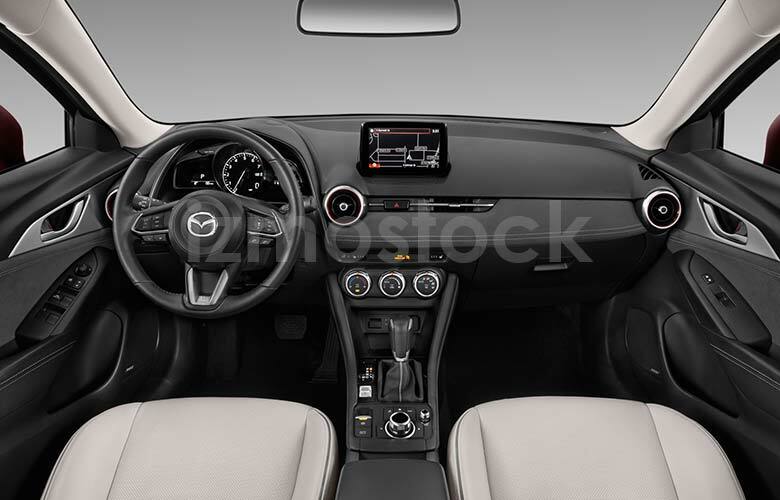 Now filled with suede and leather, Mazda keeps the technology sparse allowing for extra focus on comfort and to keep the driver’s attention on the road. 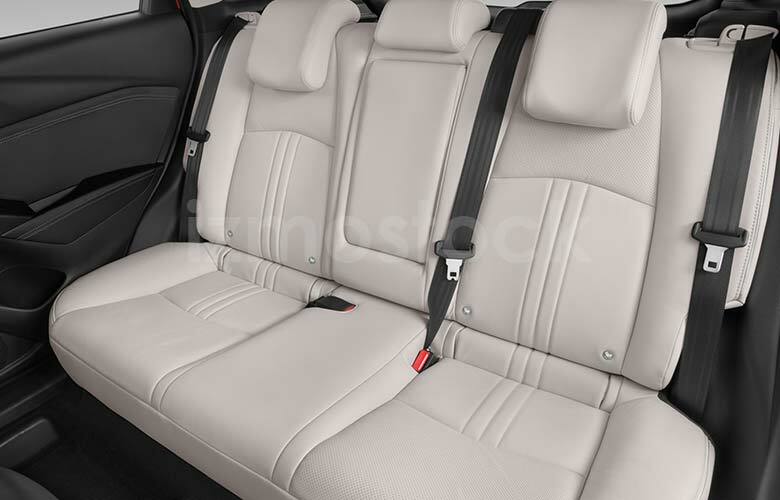 The rear seating follows suit with pleated leather seating and compacted headrests that won’t block the rear window when not in use. 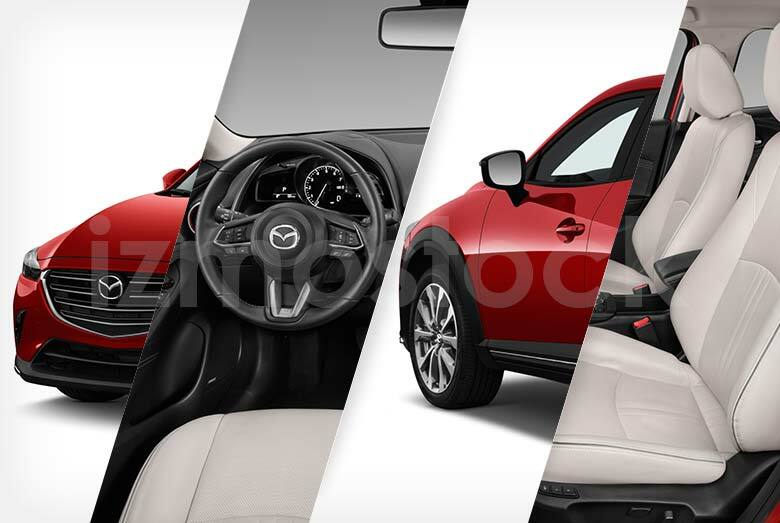 Despite being an urbanite’s dream car with its smooth exterior curvatures and flashy brilliant Soul Red paint, the Mazda CX-3 inspires grander adventures for life’s many roads. Jeep remains true to its outdoors and off-road roots with the latest 2019 Jeep Wrangler Rubicon. With the Rubicon being the smaller two-door off-roader, its compactness lends itself to the best rock traversing experience. Designed to break down in multiple configurations (with a removable top, doors, and fold down front wind shield), the Jeep Rubicon is an enjoyable ride down cool coastal roads as well as any back country. Easily recognizable from the front with its near vertical wind shield and somewhat boxy front end, you will also recognize it from the jail bar grille. The headlights are large circle now accompanied by secondary lights that also act as the wheel wells. The bumper that doubles as a towing attachment point with two read hooks, which are mounted to the frame. The hood from every angle is nearly flat with the top graced with a small bump for extra engine space and sound dampening. The rear of the Jeep Rubicon is adorned with the classic spare tire. Contrasting the front, the taillights are squared with a third bar light just above the wheel. The rear bump is also fitted with tow hooks for additional front and back towing capability. 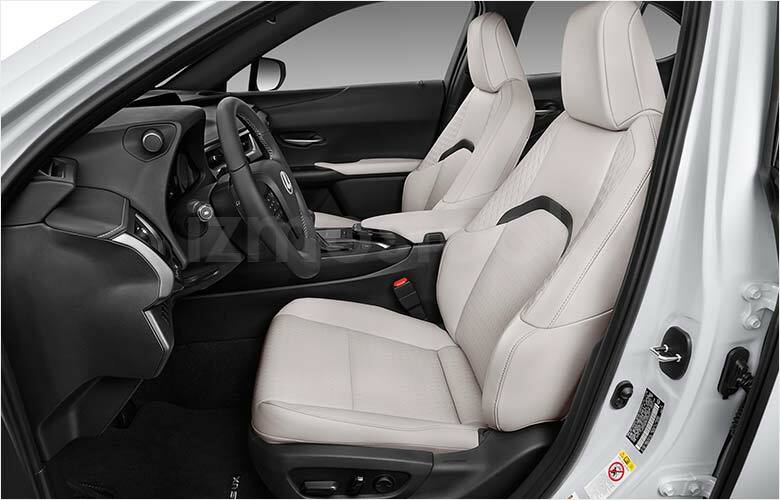 Moving inside you will find surprisingly lavish front seats and technology in the form of a touch screen infotainment system. 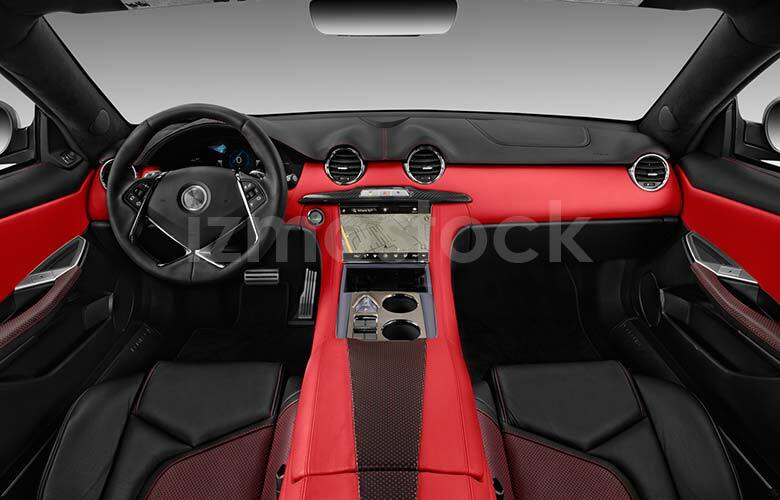 Everything is still kept simple though, with the dashboard being a striking metallic bar only crowded by the screen and air vents. The rear is even more sparse, but for good reason. 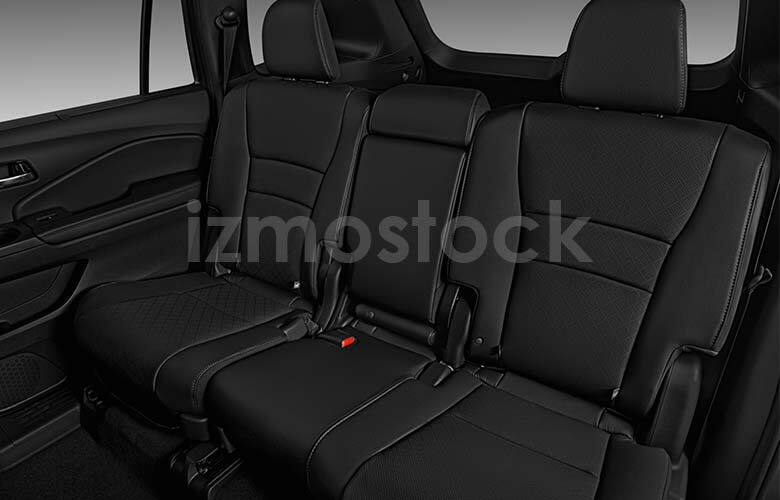 With the ability to remove seats the rear can become even more cargo space than when they’re folded down. Once just a utilitarian military vehicle, the 2019 Jeep Wrangler Rubicon extend its reach into being a far more comfortable and drivable vehicle, no matter where you want to go. 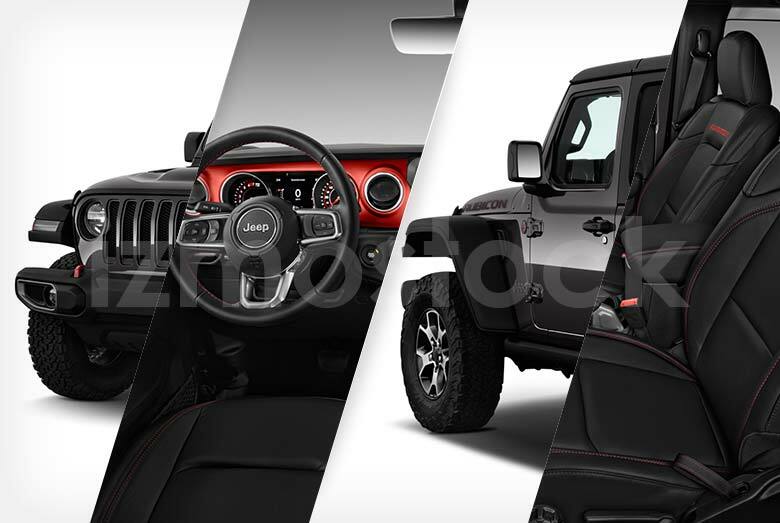 To license hi-res images of vehicles including latest 2019 Jeep Wrangler Rubicon, Contact Us. 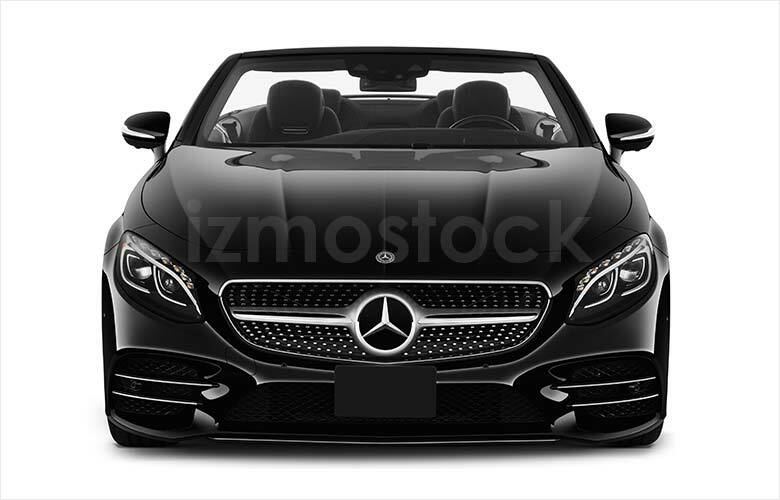 It is easily said that Mercedes knows no bounds to luxury. 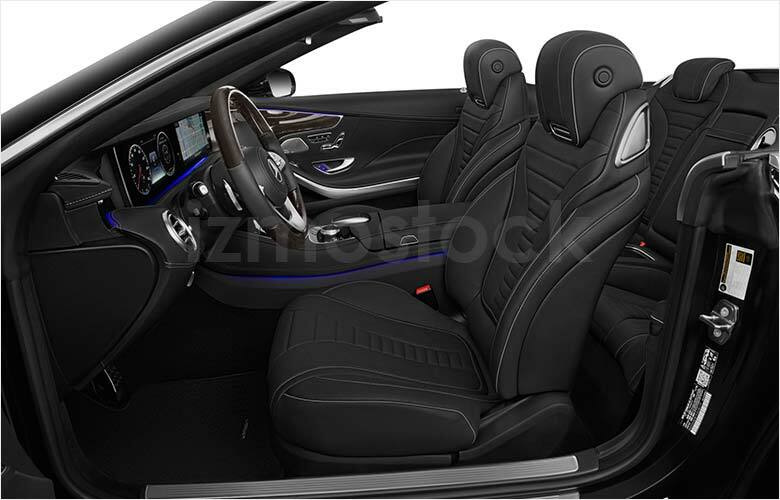 The 2019 Mercedes S-Class 560 is a testament to their commitment to creating a comfortable and beautiful driving experience. 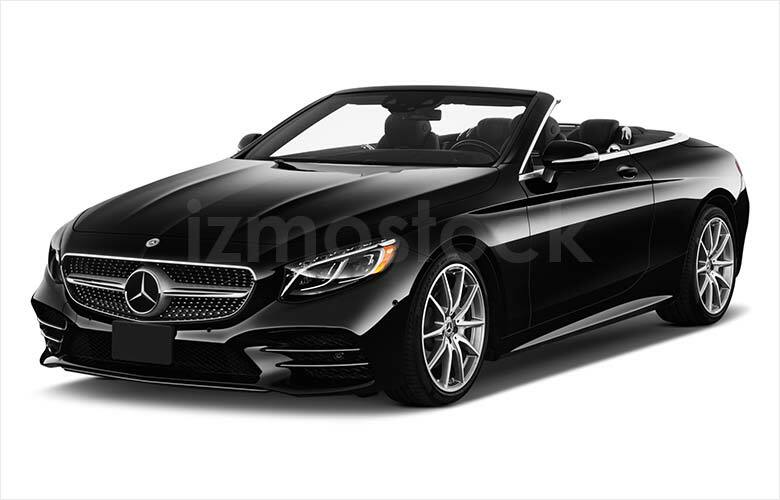 To begin with, Mercedes has graced the 2019 Mercedes S-Class with the jewel like grille with the Mercedes Tristar straight and center. 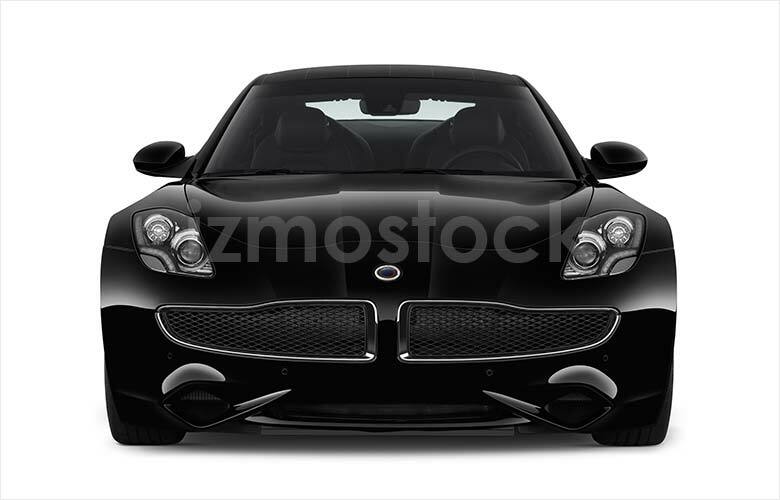 The headlights are similarly jewel shaped LED’s with faceted daytime running lights strung along the top. The hood is a long sweeping arch that falls off at the grille and picks back up at the lower fascia where it separates into the lower grille and front wheel vents. 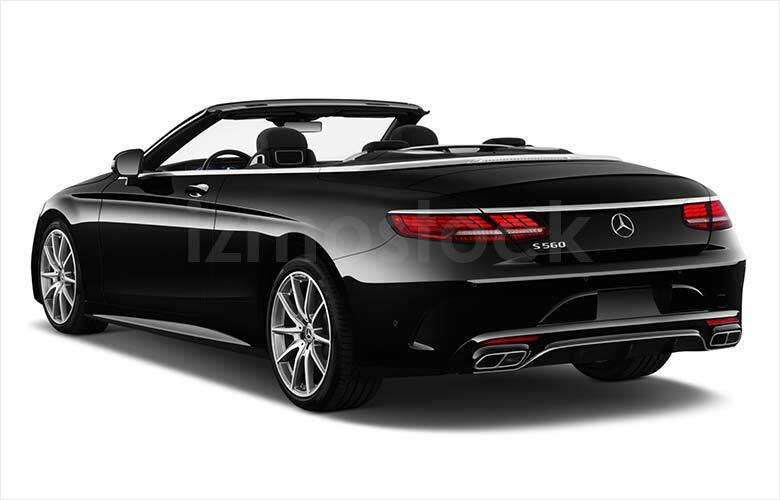 The rear shares a similar flourish with Mercedes’ OLED scale-like taillights. The taillights are connected by a chrome adornment that spans the rear and crossing the trunk door. The lower rear fascia is home to quad exhaust ports, which lets you know this Mercedes engine means business, and of the speed variety. Moving inside, the S-Class is all metal, wood, and leather. 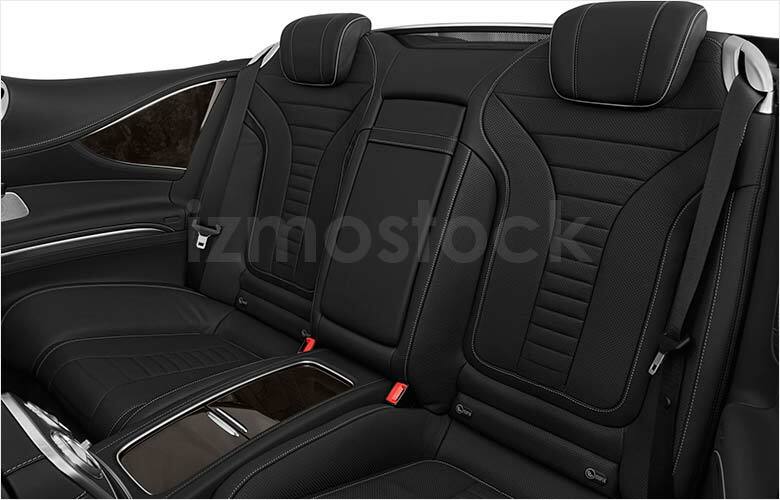 With a range of interior options and no wrong choices, the 2019 Mercedes S-Class excels at comfort and luxury feel. 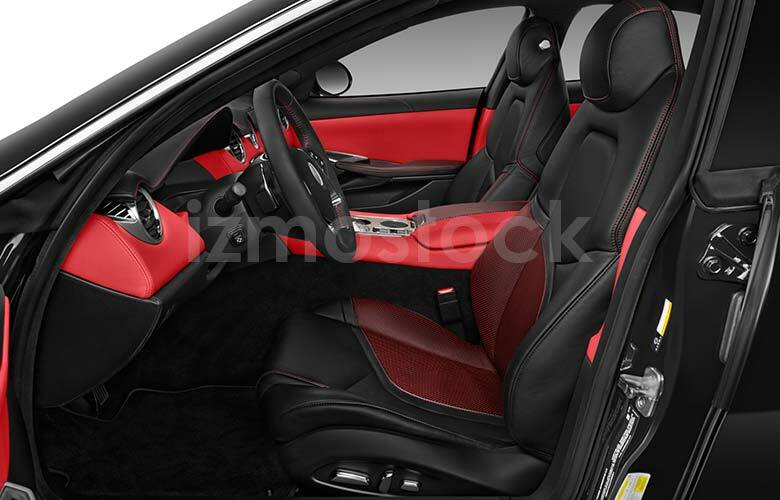 With loads of customizable features, the all-leather chairs can be adjusted every way imaginable, and with multi-color LEDs trim lights, it can fit your every mood too. 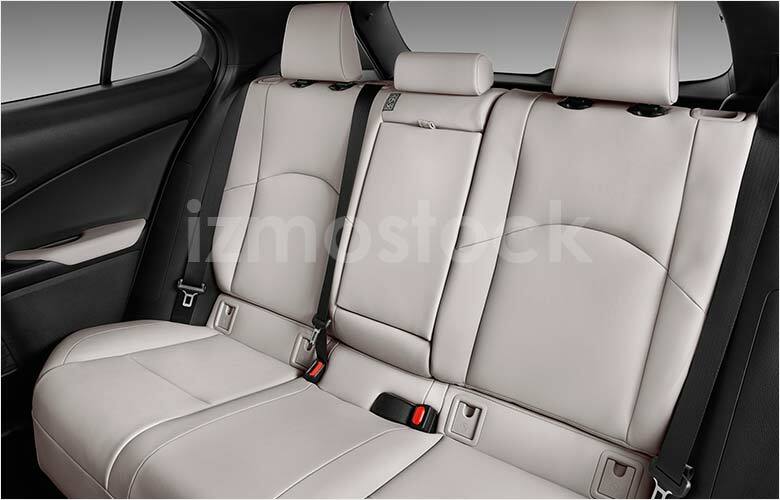 Despite the coupe size of the S-Class 560, there is plenty of room for back seat passengers, who will also share in the luxury finely crafted leather seating. 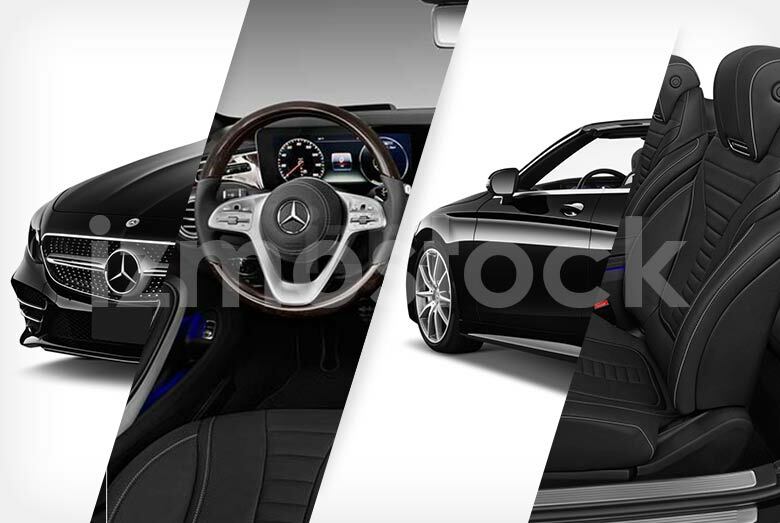 No matter which way you choose to look at the 2019 Mercedes S-Class 560, inside and out, this option from Mercedes is sure to be the finest vehicle on the road. 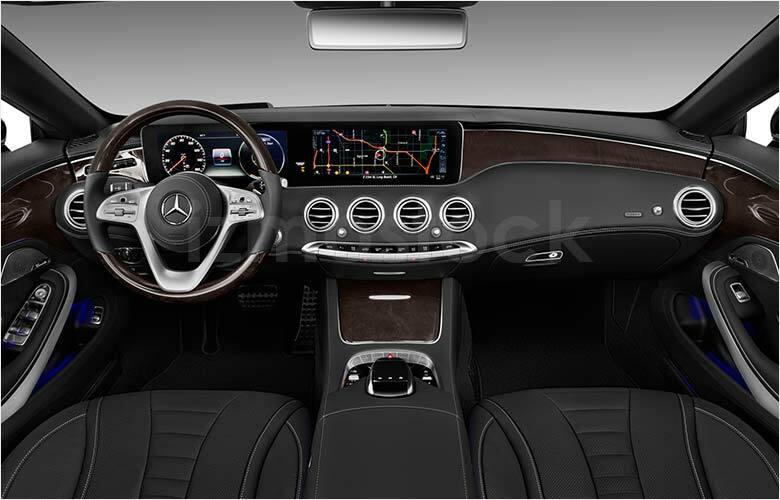 TO license hi-res images of the 2019 Mercedes S-Class 560, Contact Us. 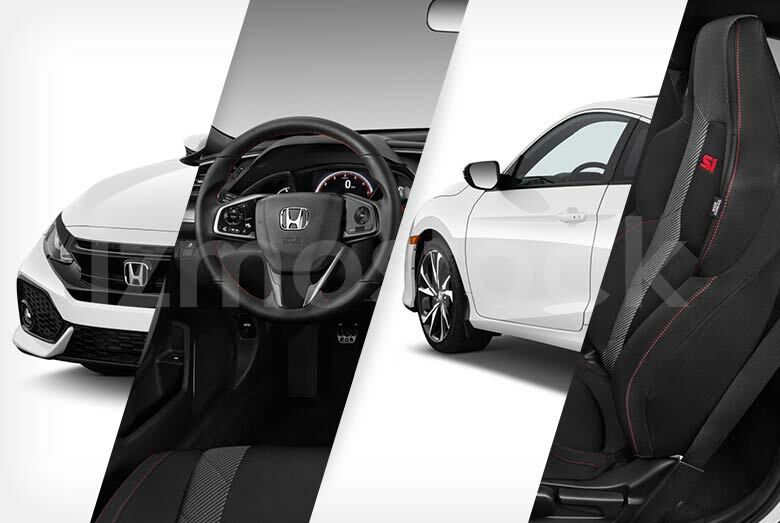 Honda’s sporty rendition of the Honda Civic SI hits the streets with some cool street racer styling. 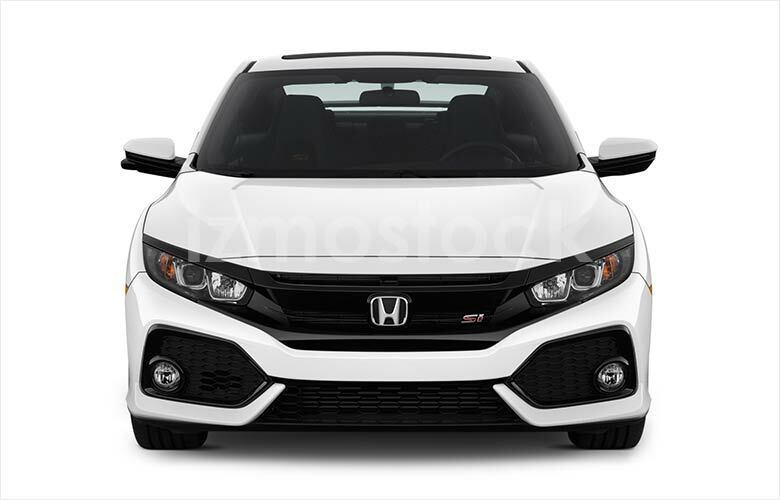 Following their latest revisions with making the Accord and Civic lines more modern, the 2019 Civic SI has been updated with the new grille and bar like fascia. The new fascia spans the front in stark contrast as it minimizes the upper grille and allows for a larger lower grille. The sides of the front are also very minimal, making space for faux vents and small circular fog lights. The low-lying hood makes room for a fairly expansive windshield and emphasizes true coupe styling. The headlights come in two flavors of slim and even slimmer depending on whether you opt for the fully LED or standard options. 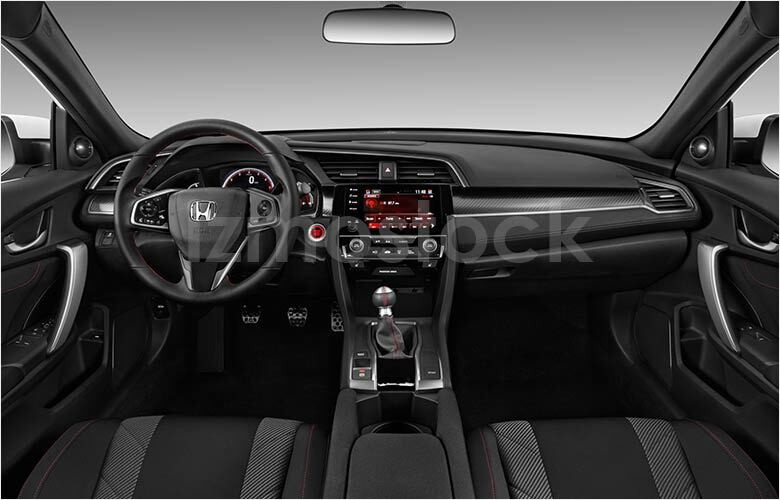 Both however, add to the sleek race appearance that the Civic SI was meant to have. The profile of the Civic SI reveals its many edges, ridges, and sharp cuts. With a shoulder line that cuts through the door and conforms over the rear wheel well and into the rear headlight, the Honda has some sweet lines that are sure to move you. The rear itself is graced with a large raised spoiler for that extra bit of racing edge. The taillight is a space age-esque bar that wraps around the trunk door. Just below the rear fascia and faux ventilation is the massive centered exhaust port that easily resembles a sci-fi rocket thruster. 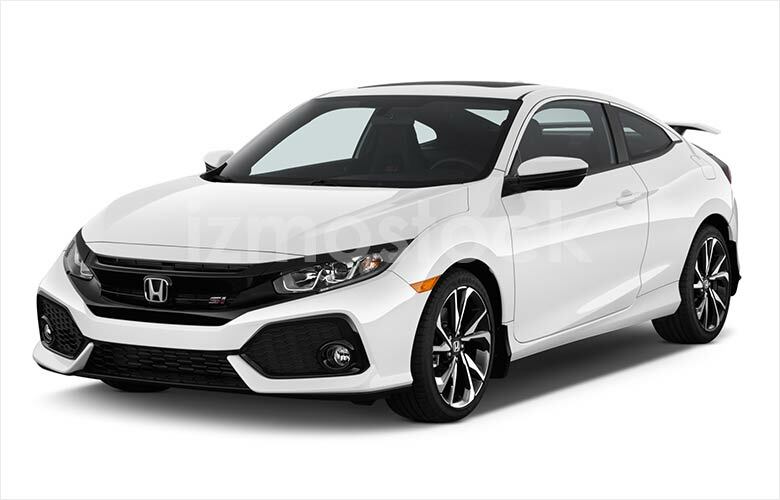 Whether you’re looking for that racer cred or just want a fashionably sporty commuter car, the 2019 Honda Civic SI fits the mold with its bold and unique look. 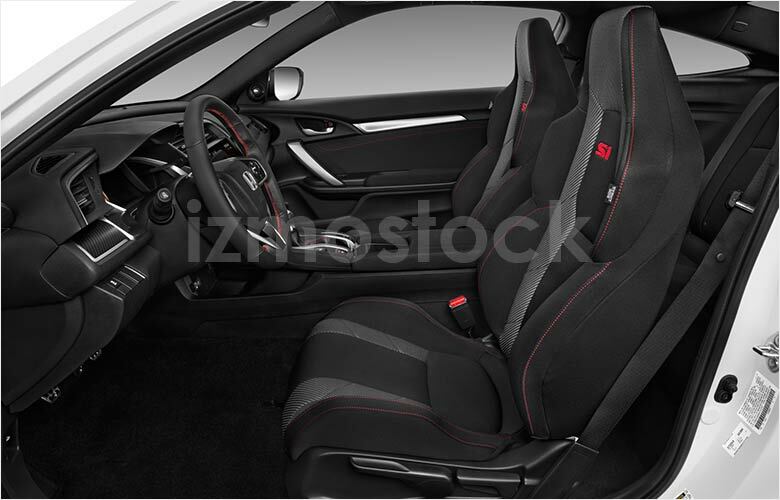 To license hi-res images of the 2019 Honda Civic SI, Contact Us. 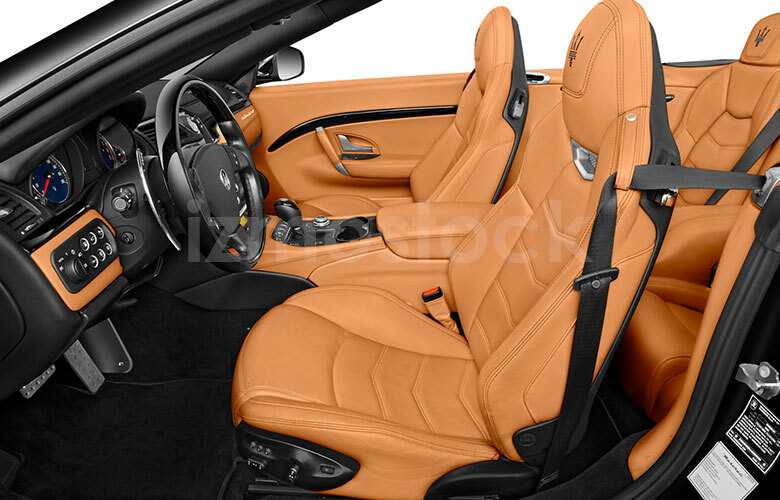 Classic on all accounts, the 2018 Maserati GranTurismo steers a straight line in maintaining a beautiful design harkening back to its racing roots. 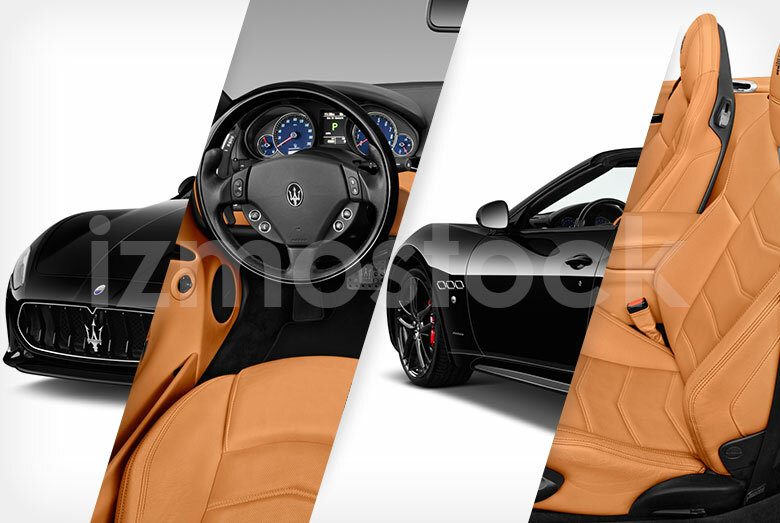 From head to toe Maserati pairs just the right amount of aggressive front styling with athletic curve. The 2018 GranTurismo sees little change in appearance and rightfully so; it’s near perfect. 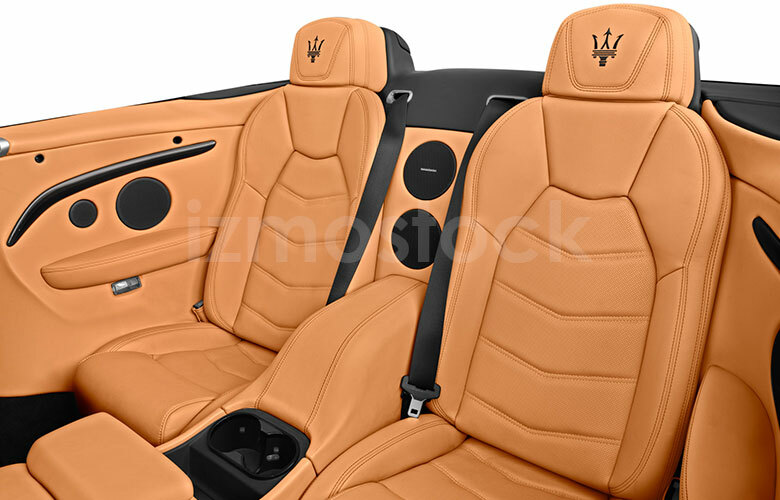 Starting at the front is a subtle grille graced by the iconic Maserati trident emblem. On either side are large vents that lead to the front wheels. The headlights are a normal affair, but all for enjoying the rest of the curves in the hood and body. The profile is a practice in well-balanced visual weighting. A slowly rising shoulder line moves you from the front to the back. A raised front wheel well accommodates for a higher rear and with or without the top down it appears sharp. 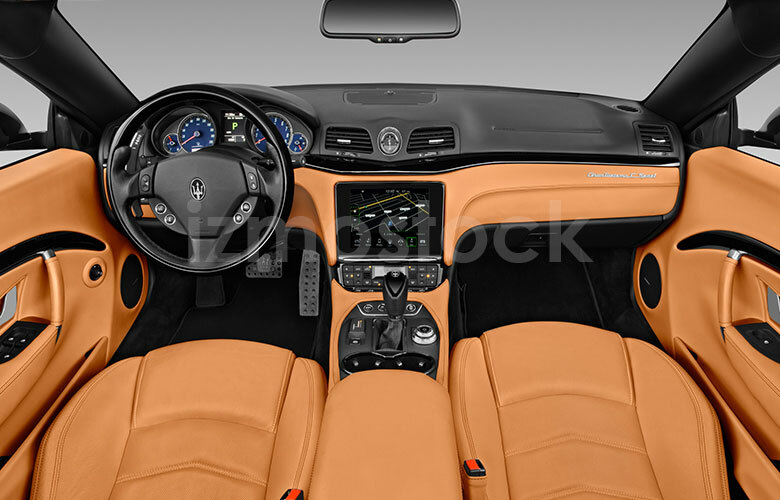 Three ports grace the front half of the profile, an emblematic design feature of the Maserati brand. 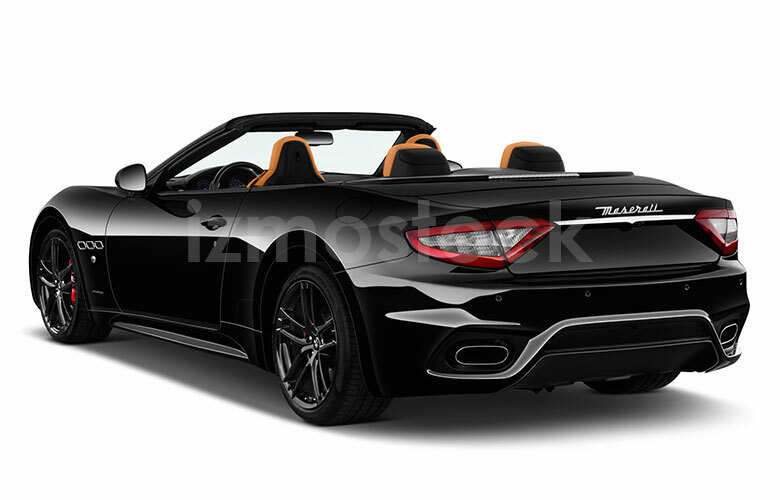 Coming to the rear of the Maserati GranTurismo Convertible, the tail levels out with a subtle dovetail-like spoiler. The taillights are connected by a chrome adornment with a pointed center that replicates a similar divot in the front grille. The lower fascia is sculpted around the exhaust ports, which adds a bit of smart angularity to an otherwise smooth and curvy design. 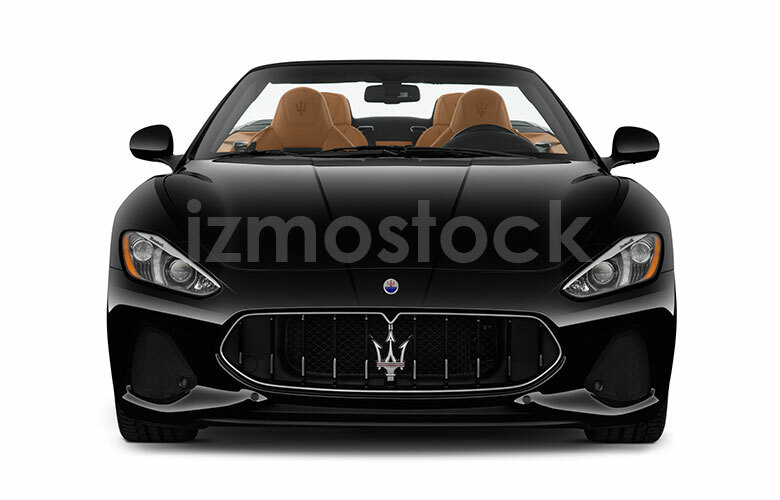 It is clear upon first look that the 2018 Maserati GranTurismo Convertible was designed around long country roads where speed is as fast as you can imagine it and the wind is always at your back. 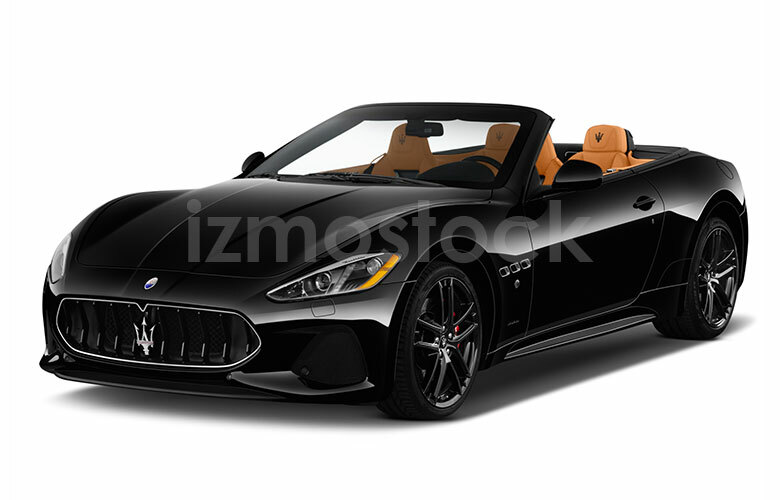 To license hi-res images of the 2018 Maserati GranTurismo Convertible, Contact Us. 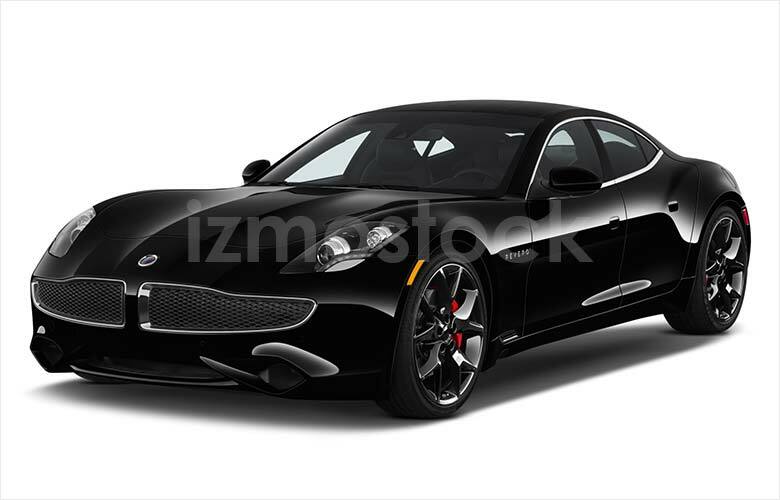 Do good things and good things happen; or at least that’s what the 2018 Karma Revero’s slogan should be. An electric luxury four door coupe, the Karma Revero is quite literally in a league of its own. Touted as a unique alternative to the now very popular Tesla, the Karma competes by not being faster or by lasting longer on the road, but by being far more adventurous in its styling. Classic roadsters easily inspire the front and although the Karma is primarily an electric vehicle it still sports a four-cylinder engine and a pencil-moustache shaped grille to match. Many of the flourishes are diamond shaped. 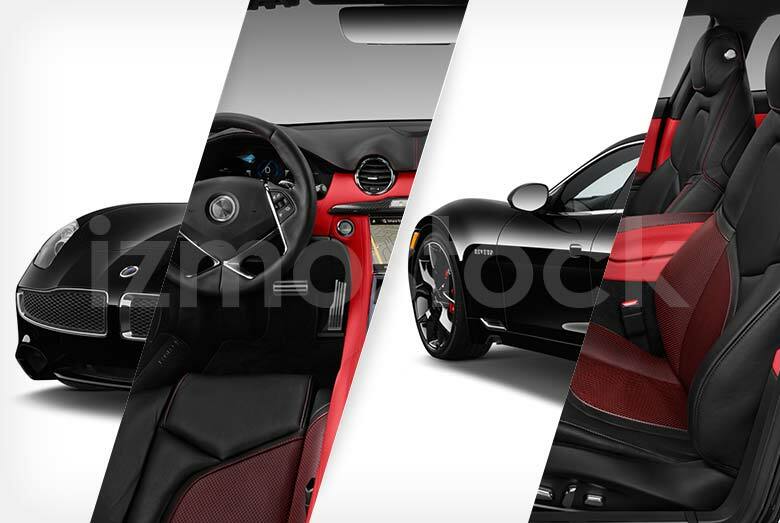 From the headlights to the gearshift controls, the 2018 Revero shows off as many different facets as it can. The hood has two deep-set grooves that round to the outside and into the headlights that smoothly conform to the fascia. Two diamond shaped ports extend out from the lower front fascia and have similarly shaped counterparts in the rear reminding onlookers they’re staring at a gem of a vehicle. Both headlights have a chrome flourish just below the daytime running lights just to add to the bling factor. Another one of the unique features is the solar panel roof, which gives it an edge in its battery longevity and letting you charge a little less often. 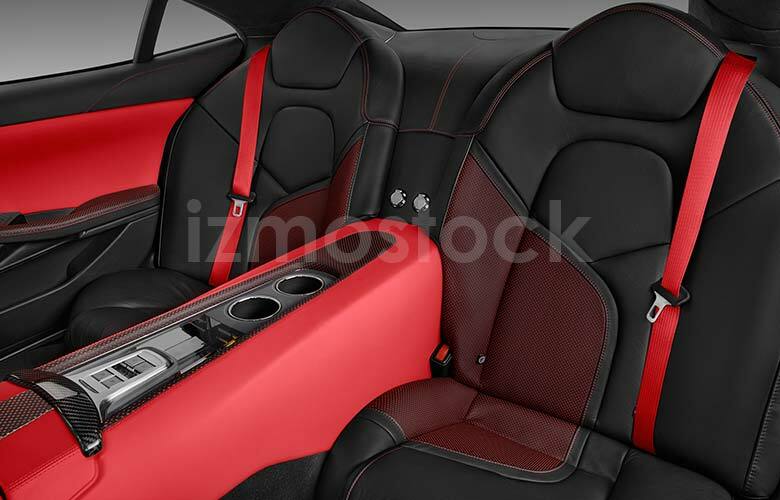 The profile reveals what appears to be a sports car, however the four doors will lead you inside a more accommodating passenger car than the traditional coupe. The rear tells a similar story; diamond flourishes, sporty wide wheelbase, and just as nice to look at as any other angle. The taillights are discreet strips of LEDs and round off the overall styling. The Karma Revero is a good sign of things to come. With its independence from charging stations and fuel to its extravagant styling, there is truly nothing else like it on the road. 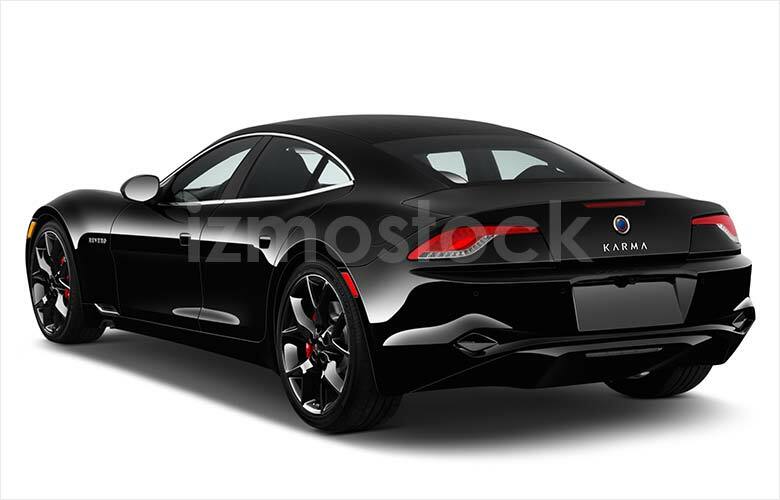 To license hi-res images of the 2018 Karma Revero, Contact Us. 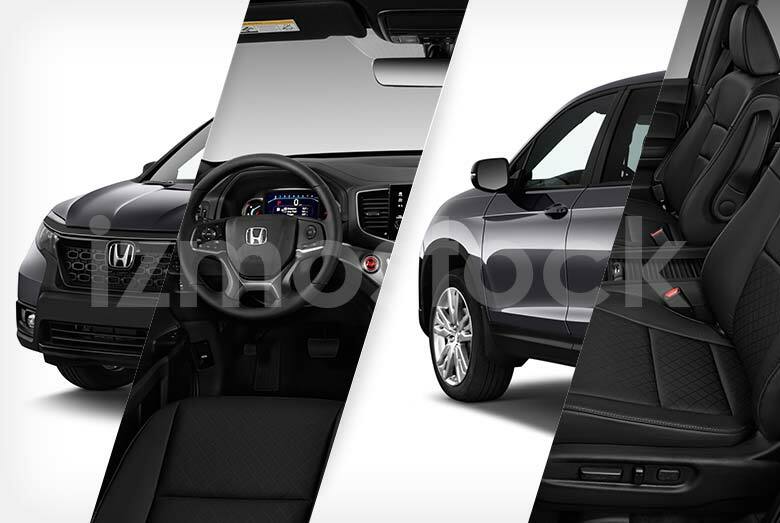 Honda transforms its legacy with the completely renewed return of the 2019 Passport. 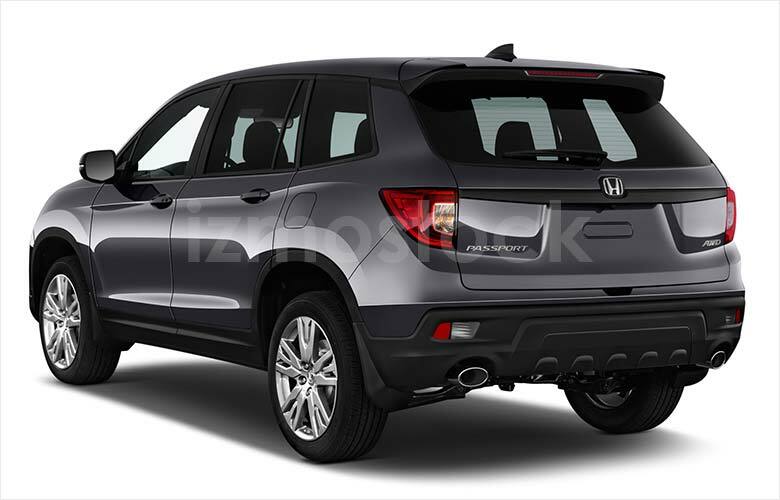 Built off the success and image of their full sized Pilot SUV, the Honda Passport fits right beside its brother with a slightly revised presence. With a shorter overall length in stature, the new Passport takes on the role of Honda’s new midsize SUV and the overall styling matches. 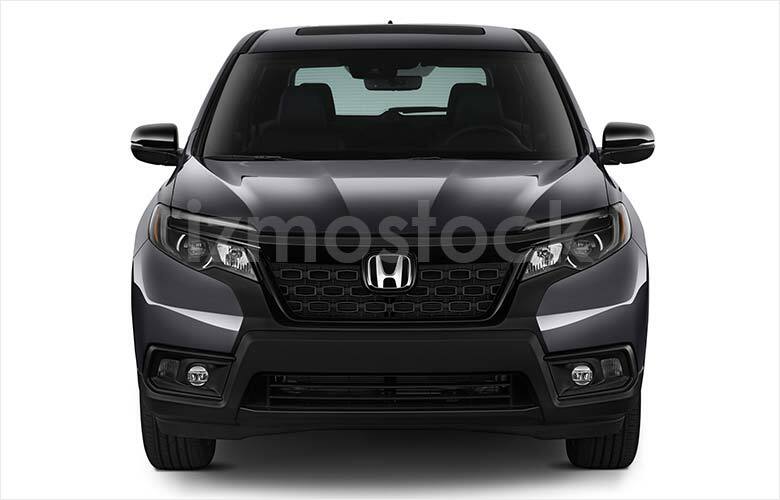 The front of the Passport differentiates itself from other Hondas mostly with its unique grille design. Headlights that seem to be taken straight from the Pilot surround three rows of squared ellipses, which construct the main grille. Aside from the modest changes to the lower grille and fog lights the front of the Passport also seems a bit shorter which is inline with it’s role as a midsize SUV. From the lower front fascia begins a body skirt that protects the paint from the inevitable adventure seeking. The profile shows off its new discreet black wheels and its signature shorter length. The 2019 Passport also maintains a strong shoulder line and a slightly longer spoiler giving it a slight aerodynamic edge. 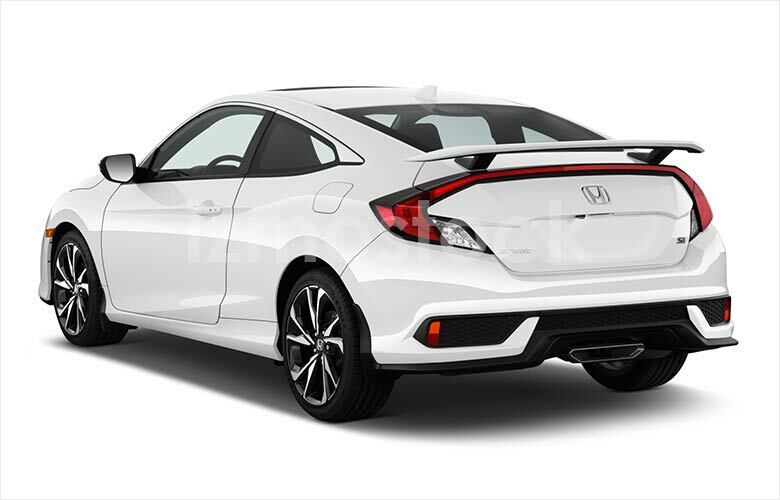 From a sharply pointed edge the taillights round to the back and stop abruptly at the trunk door. The rear reveals the all-new Passport badging as well as its sportier inclinations with a dual exhaust and rear skid plate. The trunk door is finished off with a piano black embellishment that spans across to both taillights. 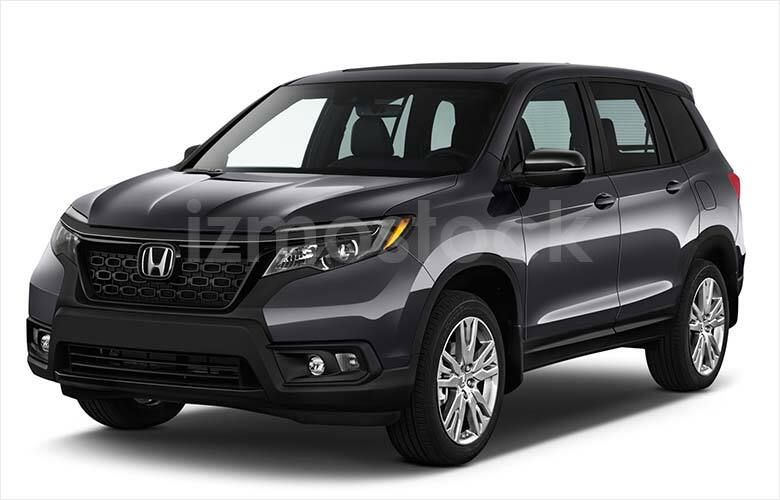 Overall the brand-new 2019 Honda Passport strikes a different tone that its relatives and predecessor. Built for the adventurer and powerful enough for all roads, the Passport is also now your ticket for all of life’s destinations. 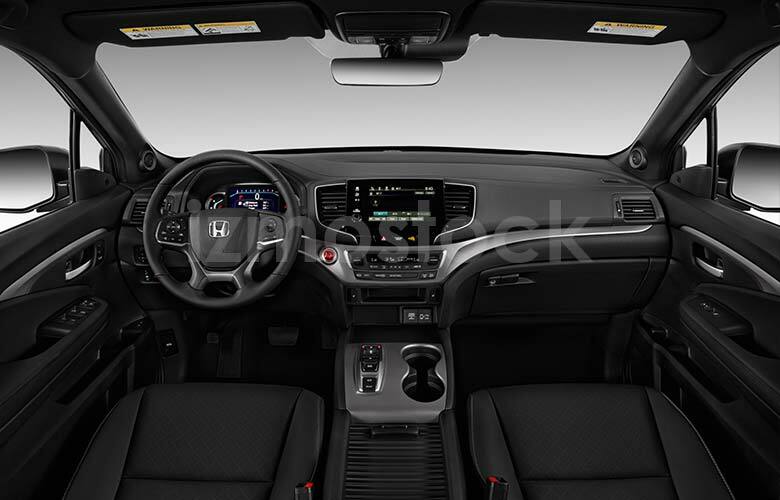 To license hi-res images of the 2019 Honda Passport SUV, Contact Us. 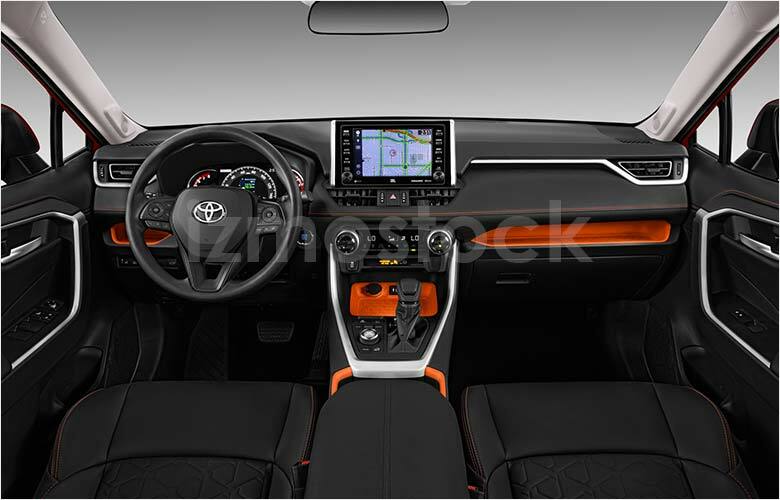 Toyota doubles down with a combination of power and sportiness in the redesigned 2019 Toyota Rav4. 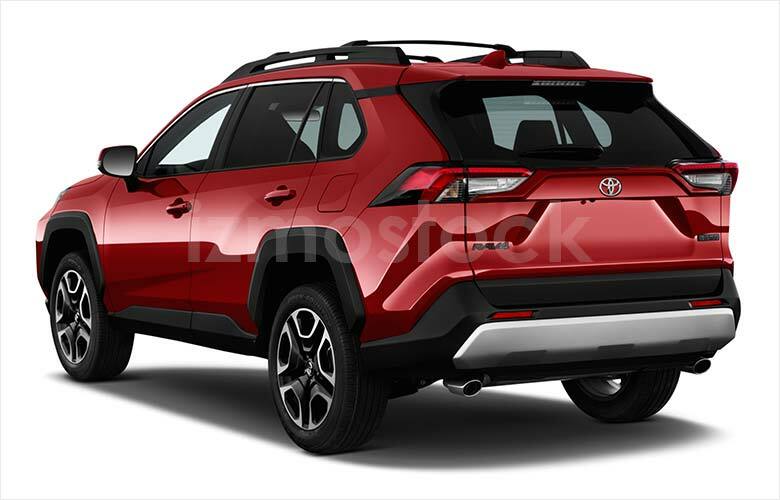 After the redesign of their other popular SUV models, the 2019 Toyota Rav4 has followed suit in form and function. Keeping a lower and more athletic profile than the 4Runner and Sequoia, the Rav4 keeps its place just above the smaller C-HR. 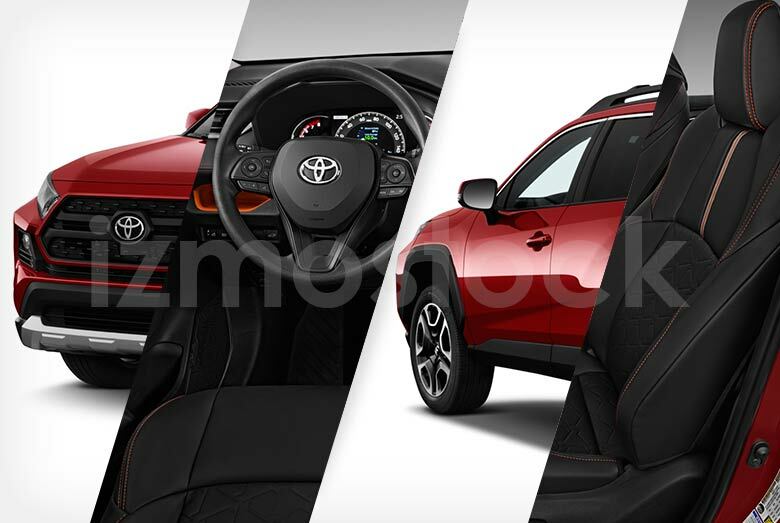 The front of the Rav4 now appears more like the Toyota 4Runner than any other previous iteration. The front is flat with a callow grimace, which is produced by the dual grilles and the contrasting white fascia and matte skirt. 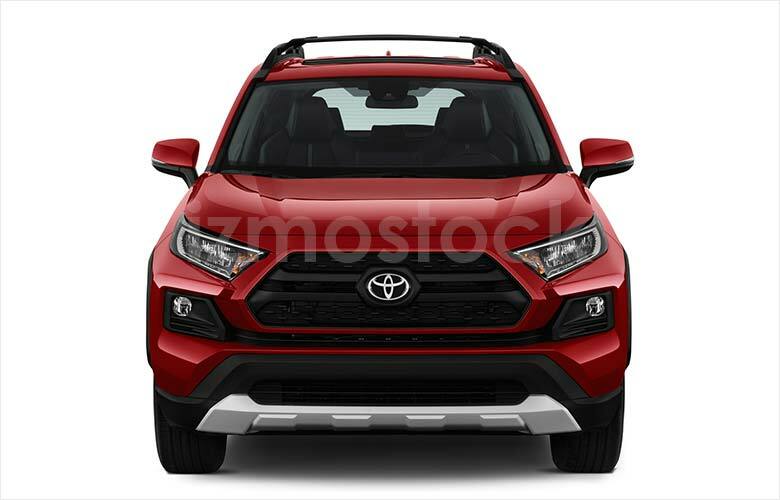 The front also sees clear inspiration of the latest Tacoma going so far as to include an optional skid plate make them nearly identical from the front. The Rav4 hood is primarily flat with raised sides making room for the wheel wells and improved shocks and trail-dampening tech. Moving to the rear you get a better view of the angularity of the Toyota team’s current design philosophy: sharp edges, rugged trimming, and no overzealous flourish. The rear of the 2019 Rav4 tells the same story of the front. Inspired by its bigger brothers the chromed dual exhaust is topped by a matte silver bumper guard. The taillights come to straight angular points on either end and form hard squared corners on either side of the trunk door. The 2019 Toyota Rav4 isn’t a soccer mom’s crossover SUV and Toyota wants you to know that even at a glance. It’s clear that the Rav4 is meant to be more than the everyday driver. With clear design influence from its even more rugged relatives, the Rav4 begs for uneven dirt roads just as much as any pavement. 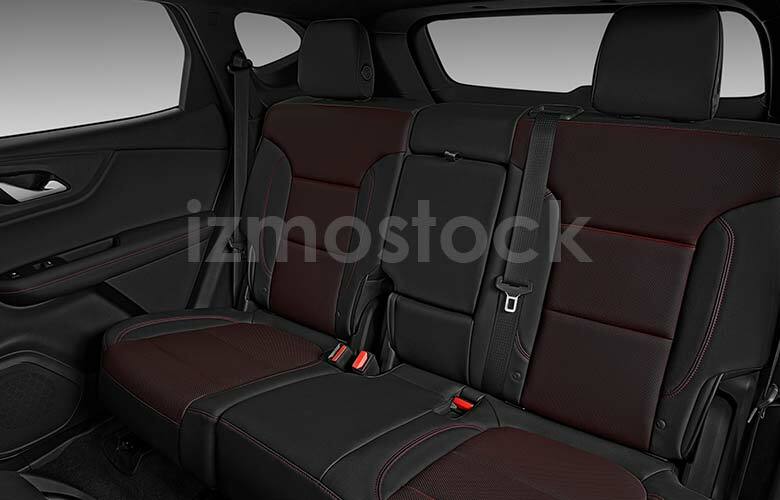 To license hi-res images of the2019 Toyota Rav4, Contact Us. 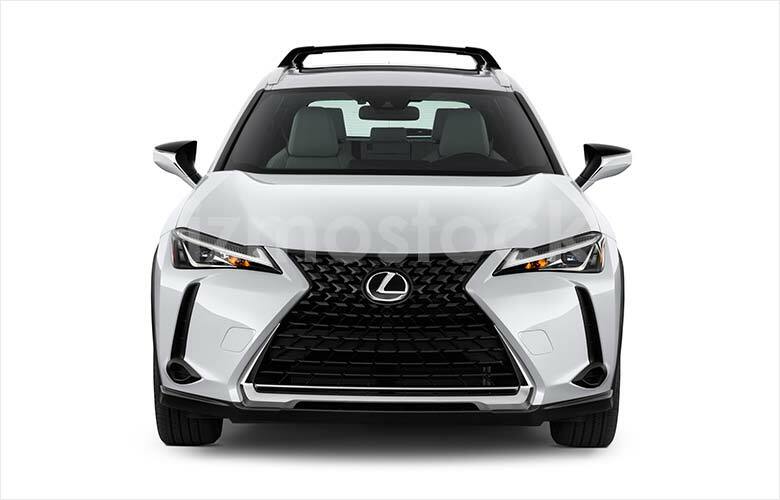 Lexus enters the race for the top subcompact SUV with the brand new 2019 Lexus UX. Easily a compacted RX model, the 2019 UX doesn’t cut any corners while cutting down on size. Despite being built on the same chassis as its distant cousin, the Toyota C-HR, the all-new Lexus UX comes out looking nothing alike. 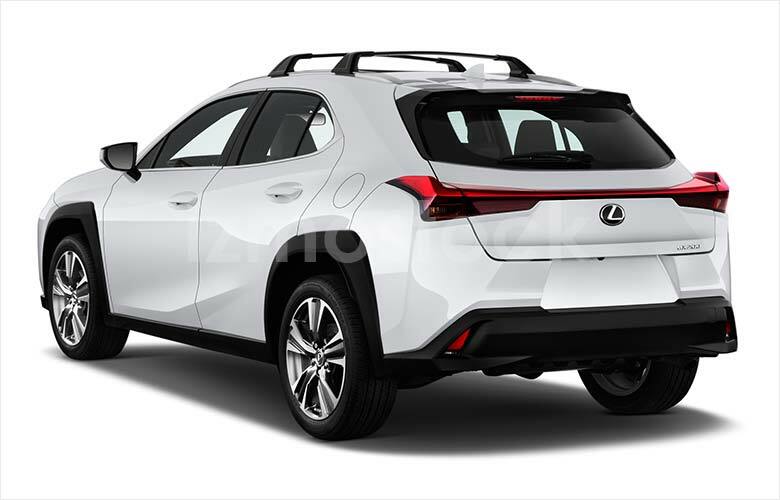 Short and stout compared to the Lexus RX, the UX debuts as a little more attractive in proportion and design. Taking on forms reminiscent of wind smoothed and cut stone, the front of the UX is a subtle collection of soft and hard angles. The grille is a smattering of scales radiating from the easily recognizable Lexus badge. The complicated headlights are tone-downed versions of Lexus’s latest sporty fanfare; filled with sharp interior angles, lines, and a single pupil-like LED backed glass bulb. The grille is adorned with some subtle chrome adornment at its bottom and lined with some scowling vents. Moving past the sneering face of the 2019 UX, the profile demonstrates the near perfect link between Lexus sedans and SUVs. Coming out shorter, while keeping a similar wheelbase, the UX comes out closer to the sportier sedans than its SUV sized brethren. 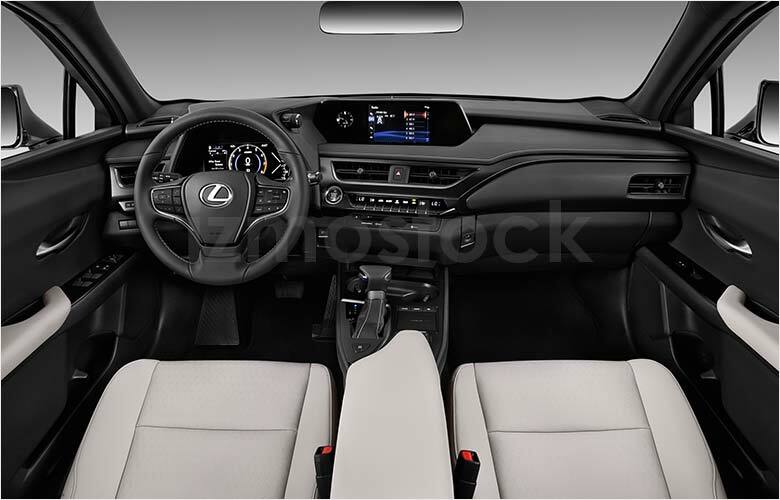 Sides mirrors are the pointed variants seen on the Lexus RC and it also barrows the shoulder line from the same sedan. What is different though is that the shoulder lines turns in the rear taillight, which bears a depth that separates it from the tailgate and rear fascia. 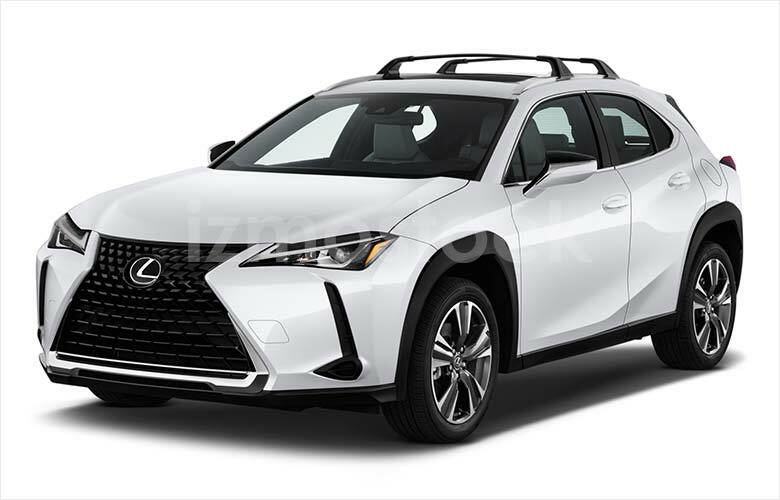 The 2019 Lexus UX also shares newer utility conventions with the addition of a plastic skirt that lines the base. The taillight itself forms a long bar that cuts across the tailgate and protrudes giving its additional three-dimensional form. Overall the all-new Lexus UX is the perfect addition to the Lexus lineup and an absolute winner in the luxury subcompact SUV class. 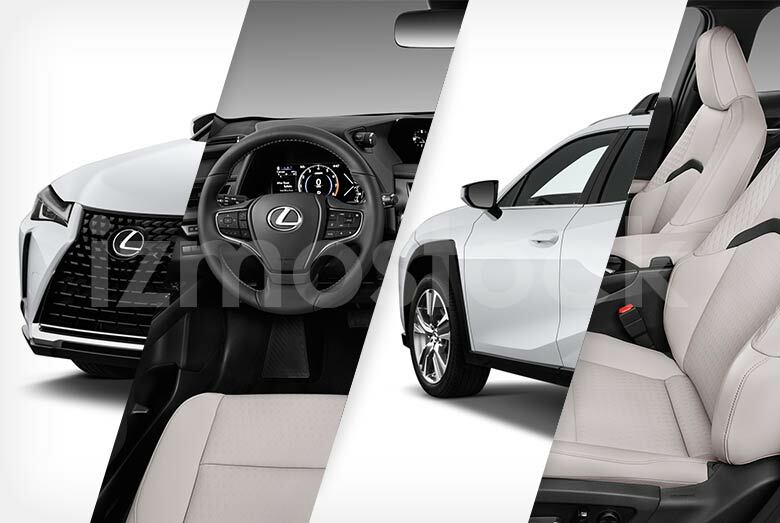 For hi-res images of the 2019 Lexus UX SUV, Contact Us.